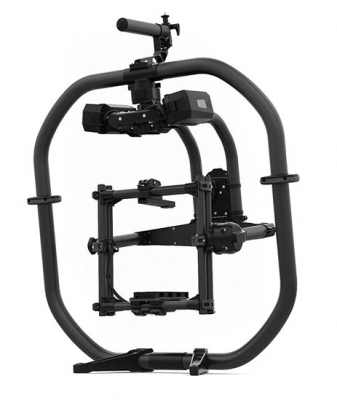 For dual-operator configurations, the MIMIC syncs with the MōVI Pro, allowing one operator to control the camera movements while a second operator moves the camera rig. The MIMIC has Bluetooth and 2.4 GHz radios built-in for device and accessory communication. Frequently added items include Teradek wireless video, Easy Rig, any wireless focus, and the Small HD 502 on-board monitor.